Hot new social media platform, TSU.co, has committed to collaborate with Roberta Mancino on a project that will involve wild crocodiles. The project will be done to raise awareness about the killing of the animals for their hides and Roberta will be traveling to Mexico to shoot a provocative fashion spread with the dangerous animals. TSU.co will give its over 5 million users a sneak peak look into the behind the scenes of the shoot and the final edit itself. The video will premiere on the platform and then be available through Roberta’s personal YouTube page. Slated to shoot in mid-June, the program is slated to roll out in early July. Tia Blanco has done it again. Tia took a convincing win at the Surfing America Prime this last weekend in Huntington Beach, unofficially winning the season as well. 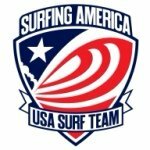 Tia’s surfing has been next level and as a member of the USA Surf Team, Tia will be traveling to Nicaragua to compete in the World Surfing Games. 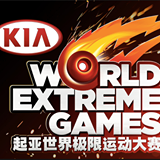 Jeremiah Smith placed third in the Kia World Extreme Games in China last week. The course was tight and a solid set up of lines of hubbas, stairs, rails and banks. Miah used his ability to connect tech tricks to get on the podium and place third. You are currently browsing the rprt: talent management, pr/marketing, events and branding blog archives for May, 2015.